It is easy to feel jealous over other peoples lives and bodies. 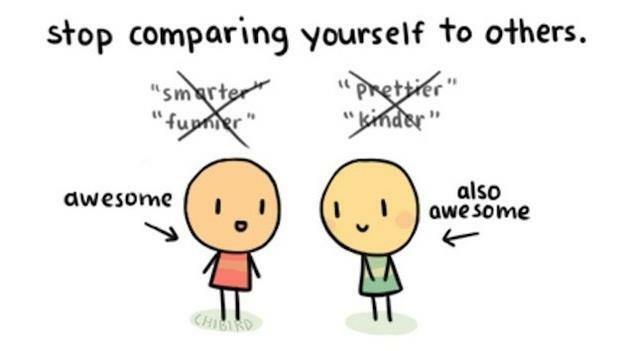 Thinking that everyone else is so much better than yourself, that everyone else has perfect lives and bodies. But also feeling jealous of those who are 'naturally skinny'. I personally get quite a bit of hate online (on my blog and email) because i am 'naturally skinny' or only look the way and eat the way i do because i work out. But i think that is just being judgmental and is signs of a not so healthy relationship with yourself. Because personally, i dont care how others look. Whether they are bigger or small than me, whether they have a thigh gap or six pack or small waist or more curves. Everyone is individual, but when you have a sick mind it is very easy to become judgmental and be very self critical and become jealous over other peoples bodies. When you hate yourself you begin to hate others as well, you hate people who look the way you wish you looked or hate people who seem to have 'the perfect' life... and then you begin hating yourself even more because you are jealous and just feel bad about yourself. But you need to stop that black circle at once and begin with loving yourself. It is helpful to focus on the things you like about yourself - you may feel like there is nothing about yourself that you like. But that is wrong, there is something... and if not, then find something. Even if it is fake in the beginning, think positively about yourself. Not just your body but your personality, your characteristics, your hobbies, interests, things you are good at. Compliment yourself, smile and try to feel happy in your own body and life. Each time you begin to feel jealous over someone else then take a deep breathe and remind yourself that you are you and they are them. Everyone looks different,there are people who are naturally skinny and others who are naturally bigger and you know what... Who cares? What does it matter? Being skinny DOESNT make you better, prettier, smarter, more loved or anything. Body size is just your body size based on DNA and lifestyle among other things. Focus on YOU, that is the best thing you can do. Dont walk around with loads of self hate and hate towards others. 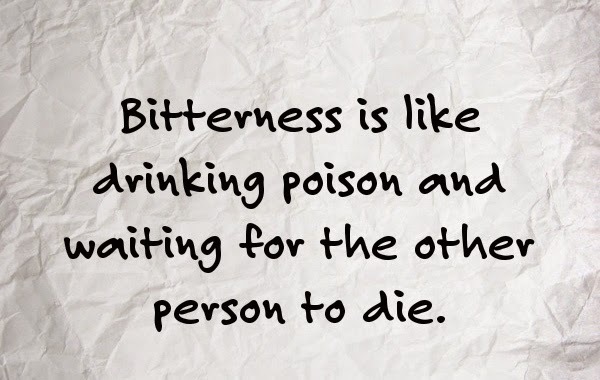 It will make you bitter and angry. You are beautiful as you are, whether you believe it or not. Find your own health and happiness and forget what others are doing. The best thing is to know what is good for yourself. Focus your energy towards loving yourself instead of hating others! You are so right that the begins with loving yourself. That has been the hardest part of my anorexia recovery, learning to love myself and to believe that I am really worth that love. I, and I think a lot of people with eating disorders, struggle to see my worth. It's something I'm working really hard on right now. If you get the chance, would you mind sharing any tips you have for how to work on self love and self compassion? Thanks!! Feeling happy and contented with yourself is a great feeling - that is one of my goals. I used to be this way before ED struck and robbed me of so much that was "me". Sometimes I despair that I will find her again. I hang on to the thought that I was once and can be so again. Hi Izzy - I have a query. Since I have become so underweight I have found that I have "loose skin" on my body, particularly at the tops of my legs, my bottom and lower stomach. My question is will this disappear as I gain weight again or will I always be left with this? It looks so unslightly its embarrassing. I didn't particularly notice this myself when I was underweight, but it definitely should go as you regain to a healthy weight again as saggy skin will be because of muscle wastage and lack of flesh underneath the skin, and as your weight restores all muscles and things build back up again. The changes in your body are so dramatic whilst in weight restoration - just how do you accept them and learn to live with them? Have you any tips on how to get through this stage without relapsing? How do you learn to love a forever changing body? This is a really scary time in recovery and so much is written about when you are actually recovered but very little about this stage. Also your emotions are playing havoc - how do you deal with this? Yes! (^Im the one who wrote the above post about this subject). Weight recovery is a rubbish time but there's no way around it, and it's basically impossible to feel good all the time about it, I suppose you've just got to use how rubbish it is as motivation to get onto the next phase as quickly as possible. And just keep repeating to yourself that you're doing the right thing for your health and also the way you look and feel. In hindsight I can give this advice but whilst I was putting on weight I was constantly terrified that I'd look fat and hate myself and be miserable if I reached the goal weight, but now I actually feel so much better, so just try and keep that in mind and that as you gain weight you're getting closer to happiness and that change isn't a bad thing. Jealousy is a very negative feeling and an emotion from which one should get rid and engage in self-realization.